This is Circle Forest. 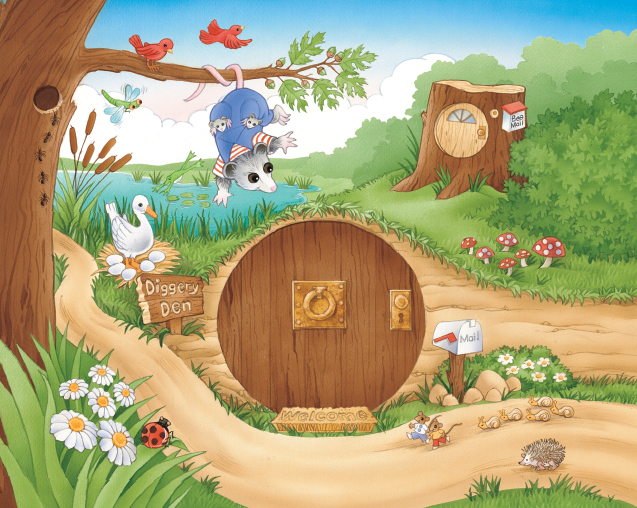 Knock on the big circle door and Chuck Wood and his family will welcome you into their underground home inside Diggery Den. Tap on the little circle door and you’ll find Bruno Buzzbee’s hive in a hollowed out tree stump. That’s where Bruno collects Bee Mail from the Buzz Network. And if you want to see where all the InvestiGators meet, Circle Forest is the place. Follow the trail to the giant oak tree and you’ll find the InvestiGator tree house!